Maintaining balance in caregiving situations can be difficult. Caregivers are pulled one way or another, constantly trying to keep up with the demands of caregiving. Maintaining balanced emotions in caregiving is a learned skill. Have your feelings been bruised recently by someone for whom you’re providing care? 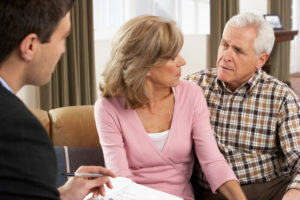 You may be taking caregiving too personally. If you are experiencing caregiving stress or burnout time away from caregiving may be beneficial if only for short breaks. If you are the caring type, you want to be helpful. But what happens when you become too helpful or become too controlling of the life of another person, especially IF this person IS family? Caregivers of all types have great difficulty setting boundaries between being helpful and taking control. The goal is to be supportive instead of an overbearing or overcontrolling caregiver. Caregiving support, whether in person or through online groups, helps caregivers maintain balance and manage the emotional and physical aspects of caregiving. 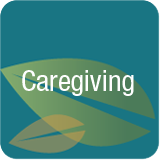 This website offers free caregiving support and paid courses for everyone involved in caregiving. Balance in caregiving is a tightrope that challenges many caregivers and ruins many professional, personal and family relationships. For caregivers, feeling that we own the life of another is a danger sign that we’ve become too emotionally involved. Realize that this person has a right to their own life and the choices they make even if the choices do not fit within your personal standards. Accept that the standards of spouses, aging parents and loved ones including their ideas and personal practices are different from yours. Accept that their life history may be different from yours and realize you bring your own biases to the situation. By balancing the desires of a loved one with the desires of the caregiver, disagreements about caregiving decisions can also become more balanced and less controversial. Remember that this person, who may be your parent, lived for many years, without your help. They were once totally independent. Help them do as much as possible for themselves so they don’t become too dependent on others prematurely. Independence fosters self-esteem and self-respect. Most aging adults want to remain at home rather than moving to a care community. Find ways to be helpful to support independence. Ask the person how you can help instead of telling them what you’re willing to do, then be willing to do what they ask. Understand that we’re all different and may arrive at the same ending or conclusion, but the journey we take to get there may be different. By avoiding the desire to control the situation, you may also avoid feelings of caregiving burnout. When you become frustrated with words or actions, walk away, take a break. Realize that frustration solves nothing and may only make the situation worse. Attempt to gain a new perspective. Work to see the situation from an opposite perspective. Doing this may help you become a more compassionate person and a better caregiver. You may also be able to better balance emotions while caregiving. Remember that this person needing care may be near the end of their life. They may be in pain or suffering or behave horribly. Think about the end of your life and the kind person you hope will care for you. Caregiving support is available for you on this website and through online caregiving support groups and courses.